Lots of focus has been put on the young vote and the old vote. The older vote might have been scared away from the Tories by their initial ideas on social care, so ably characterised as a ‘dementia tax’ by commentators. The younger vote turned out a lot more, attracted by Jeremy Corbyn’s vision (and the abolition of tuition fees). But a major group also moved to Labour, or at least didn’t vote Conservative. Parents of young children in the state school system. There are a lot of them, and they seem to have had enough of Tory Government. According to a poll by Lord Ashcroft, 50% of 35-44 year olds voted Labour, and 30% for the Conservatives. Labour had a 3% lead among 30-45 year olds in 2010, now it is 35%. To understand why, it is important to note that many of this age group are the ‘just about managing’ that Theresa May talks about without actually coming up with any policies they would like. These are the people who are still renting as they can’t afford to buy a home. They are lumbered with the diesel cars they were told they should buy but are now being taxed out of existence. More importantly, they are worried about their child’s schooling. 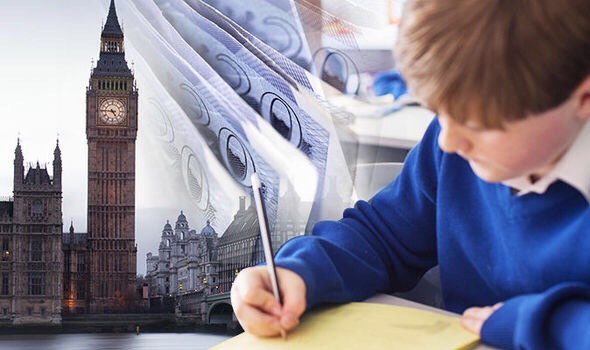 Throw aside Tory insistence that they are spending more and more every year on state education. Spending in real terms per pupil is falling. I know, because last week in the finance committee meeting of the school of which I am governor, I saw a series of minus numbers in terms of income on their budgets. I saw a series of planned cuts in spending that has to follow this. These children have to compete in a global marketplace for labour, and the cuts being made to funding for their education will be paid for by the entire country for many years to come. The Education secretary Justine Greening was hidden during the campaign, but one of her Ministers, Edward Timpson, lost to a teacher in Crewe and Nantwich. Yet another one of the great successes of Labour’s campaigning was their strategy of sending teachers out to campaign in areas where school funding had been cut, and nurses out to campaign in areas where health funding had been cut. Because of austerity there has been a public sector pay freeze and then tiny rises for seven years, so even when schools do have money to recruit they find it very difficult to do so. Then there is the ending of universal free school meals for infants. This of course was presented by Labour, slightly mendaciously, as the end of free school meals, rather than the return to means testing that it was. But it had serious implications for the ‘just-about-managing’ parents it would affect. That it was to be replaced by an underfunded free school breakfast that most schools would have no ability to staff is not the point. It’s not about the economics of this, it’s the politics. You have just witnessed the worst political campaign in living history, in so many ways, and the way that the Tories have handled education is just another way in which they made a right royal mess of it.